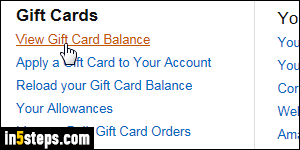 One way to find out how much money remains on an Amazon.com gift card (which I've used myself! ), is to "mock-check-out" with 1+ items in your cart. 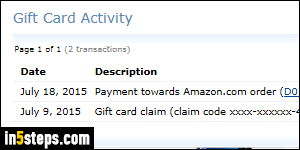 But you can check a gift card's balance much more simply, and get a breakdown of all orders placed at the same time. 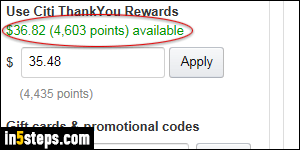 After your add a gift card to your Amazon account, it is automatically used for purchases unless you pay with a credit card or use your Citi ThankYou points / other cash back points and reward cards. Go to Amazon.com and log into your account if needed. 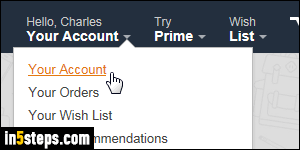 Once signed in, mouse over the Your Account dropdown button, shown near the top right corner of every page, and select "Your Account" from the menu. After clicking on the View Gift Card Balance link, you'll get a summary screen that shows how much money is left on each of your gift cards. 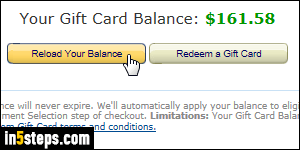 (I only have one card associated with my Amazon account while writing this tutorial.) You can reload your balance or redeem a new gift card from this same screen.